If Spotify is the Netflix of music, SoundCloud is more like YouTube — a service that lets everyone, from Drake to your college roommate, share their creativity with the world. Unlike any of those other services, it’s also on life support. Each day we seem to slip closer and closer to a SoundCloud bankruptcy filing. Early last year, financial data from privately-owned SoundCloud painted a clear portrait of a company with a long history of hemorrhaging money. In 2014, SoundCloud spent $64 million to generate just shy of $20 million in revenue, and the company reported combined losses of $70 million between 2013 and 2014. Despite raising $77 million in 2015 and another $70 million in debt-based funding in 2017 — and boasting a growing monthly user base of over 175 million people — the company still requires further cash infusions to remain solvent. In early July 2017, SoundCloud laid off an astonishing 40 percent of its staff to cut costs, and according to a recent article published by Techcrunch — an article which drew a vehement but vague-on-the-details denial from SoundCloud reps — it appears the company may only have enough cash on hand to make it to Q4 of 2017. If Techcrunch is right, that means there’s less than two months of runway left following the latest bombshell. As concerns over the financial viability of the massive music-streaming service continue to rise towards sheer desperation, we’re revisiting a question we asked in early 2016: What happens if SoundCloud goes under? SoundCloud’s dissolution and total disappearance would create a powerful ripple effect across the world of recorded music. The most immediate consequence would be the loss of a massive chunk of the world’s independent online music. SoundCloud has carved itself a unique niche in 21st century music. Since its inception in 2007, when the company first took on MySpace as a platform for user-uploaded music content, SoundCloud has grown into one of the internet’s biggest purveyors of musical democracy. It’s a playing field where musicians big and small can create accounts and instantly share their musical projects with millions of global listeners for free. 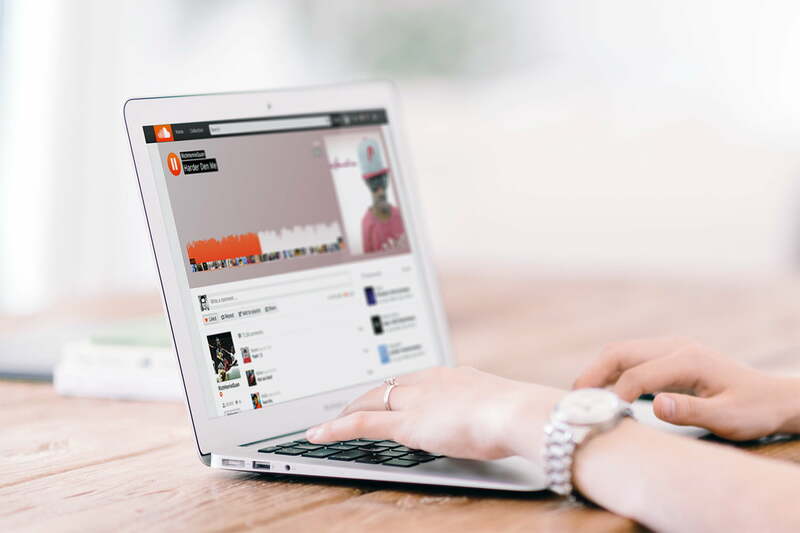 SoundCloud fills a void no other streaming service can account for, a fact that becomes most evident when we take a look at the platform’s massive digital library. The company currently hosts over 110 million audio tracks, almost four times the 30 million or so songs available on popular streaming services like Spotify and Apple Music. A large percentage of that music simply isn’t available elsewhere. Though the loss of an on-demand juggernaut like Spotify would have massive consequences for streaming users around the world, in some ways the loss of SoundCloud would be even more devastating. After all, Spotify users would still have Apple Music, Pandora, and Tidal to fall back on. SoundCloud, on the other hand, has carved itself a unique niche in 21st century music. It’s a cultural launchpad that helps artists get their music off the ground and into the ears of millions. While bigger artists quibble over which services they allow to stream their music (see the history of Taylor Swift and Spotify) or whether they want to stream their music in the first place (see Adele), many independent musicians only host their music on SoundCloud. Some of that has to do with copyright infringement issues — a lot of SoundCloud music uses unlicensed samples — but it also has to do with the difficulties of getting played on Apple Music and Spotify, which typically means paying fees to publishing companies like TuneCore. Beyond that barrier, uploads to Spotify and others are usually not immediate, often requiring a waiting period before tracks are streamable. And though there are other sites that let anyone upload their music instantly for free (most notably Bandcamp), they have neither the user base nor the social media aspect that SoundCloud has to develop fans and sales. In fact, many SoundCloud users employ them in tandem, using Bandcamp as an online store to sell collections of music, rather than a place to share their latest tracks one-by-one. Where Bandcamp is the independent music store du jour, SoundCloud is its promoter, employed by musicians to drive awareness and sales. But it’s not just independent artists and their pocketbooks that would feel the weight of a SoundCloud collapse. For the industry at large, the loss of SoundCloud would mean, at the very least, the death of a major publicity tool. Publishers, labels, PR companies, and even music blogs often use the service to host tracks for embedded playback, or to pitch new songs to festivals, music critics, and others. Our own weekly list of the best new songs to stream frequently features songs published exclusively on SoundCloud. SoundCloud has fielded offers from various tech companies over the years; Twitter at one point considering purchasing the company for $2 billion. That deal never happened, but it does give us some idea of SoundCloud’s place in the market. Major labels have taken small stakes in SoundCloud as part of underlying copyright licensing deals that the company inked in an attempt to reach a broader — and more lucrative — user base. That said, labels likely invested in the company in hopes of profiting off a future buyout, rather than to buy it themselves. It’s possible that the sale of SoundCloud could look something akin to Apple’s purchase of Beats Music. It’s possible that the sale of SoundCloud could look something akin to what happened to Beats Music after Apple purchased Beats Electronics. Apple folded the service’s assets and overall architecture into iTunes, and the labels that had a stake in the company cashed out at the time of the sale. Universal Music sold its shares in Beats for approximately $400 million. It would take a fairly well organized tech company with a serious interest in the not-so-profitable world of streaming music to purchase SoundCloud with its balance sheet, and though deals with major labels would likely have to be renegotiated after the fact, it is a viable possibility for the company if another party sees potential — it’s hard to resist 175 million monthly users. However, it appears the expiration date on such a scenario is rapidly approaching. A lot of tech darlings spend unsustainable amounts of money to facilitate growth in their infancy. Facebook, for example, didn’t turn a profit until five years after its founding when the company had reached a massive 300 million users. As such, further cash infusions are still not out of the question for SoundCloud investors. Though the company can likely never expect to build the multibillion dollar empire that Facebook has, there may be untapped ways to monetize its users more effectively. Last year, the company launched a paid model which is still in its infancy relative to other popular streaming services. If it could somehow find a way to grow its number of paid users, it could perhaps find a way to stay solvent for longer. It’s hard to verify which inaccuracies SoundCloud is referring to, and it’s also true that the company is far from the only streaming service having trouble turning a profit. However, SoundCloud has been around for over a decade, and monetization is likely becoming an increasingly sticky issue for investors old and new. In recent years, it has been harder and harder for the company to secure funding, let alone find a potential buyer. Under its current model, further cash would act only as a Band-Aid for the company’s cash-flow problems. A healthy and viable SoundCloud is important to streaming music, and the music industry as a whole. But if SoundCloud can’t figure out a way to bring in more cash under its current structure, major changes will be needed to monetize the site more effectively, and keep it from sinking into the streaming oblivion like so many before it. And time, it seems, is running out. Update: We’ve updated this article to reflect more recent news with regards to SoundCloud’s layoffs and financial struggles, its place in the current marketplace, and the likelihood (or lack thereof) of a sale.